BAY CITY â€” During this yearâ€™s Tall Ship Celebration: Bay City, three tall ships will be in port to offer day sails to those interested in sailing on the open waters of the Saginaw River and Saginaw Bay. The Area E/K Semifinals were hosted by Bayview Yacht Club in Detroit, Michigan on June 26 and 27. Eight teams from as far away as St. Louis, Missouri and Toronto, Canada completed a round robin Saturday in ideal conditions. Chicago has mastered the ice; now itâ€™s time for the water. The next Cup on the minds of Chicagoans and thousands of Midwest sailors is the prestigious Mackinac Cup, the perpetual challenge emblem for the oldest and largest freshwater sailing race this side of the world â€” the Chicago Yacht Club Race to Mackinac, presented by Veuve Clicquot. Hello Mac Racers â€“ it is the 2010 Mac Party Season! The 2010 Mac Race Party season is right around the corner. Check out the details. The Port Huron Yacht Club would like to invite all Bayview Mackinac Racers to sail in the 2010 US-IRC Great Lakes Championship the week before the Bayview Mackinac Race out of Port Huron Yacht Club. Windward/Leeward and Point-to-Point Races will be held in lower Lake Huron over two days in a great. Clink the logo below for more information! The Race Committee is excited to announce that for the first time, the Bayview Mackinac Race Press Conference will be broadcast online. 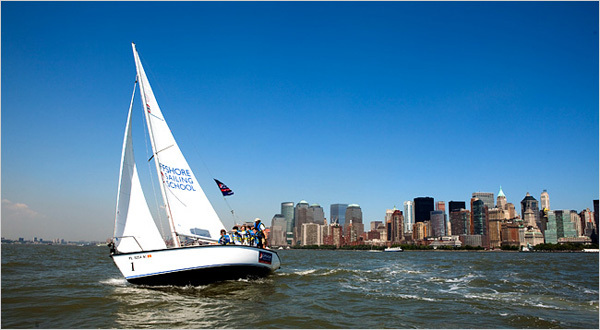 Dieball Sailing customer Doug Scheibner answers some questions that will help all sailors! Youâ€™ve had quite a successful record in sailboat racing. Tell us about some of the other boats youâ€™ve sailed and what brings you back to the T10.